Carrot sticks. Carrot discs. Crinkle-cut Carrot oblongs. Carrot with nut butter. Carrot with ranch dip. Carrot with red pepper hummus. Carrot Bran Muffin. Carrot Saffron Rice. Grated Carrot Salad. Carrot pickle. Carrot purée. Carrot any-and-every-which way. Feels like every other day is Carrot Day in our house. So, when I came across International Carrot Day, I dismissed it as another gimmick last year, their 10th anniversary. This year, knowing that carrot is much-loved and much-consumed at home, I reconsidered and decided to make it a celebration of not just the Vitamin-A-and-beta-carotene-packed tapered natural orange delicacy, but also of books. 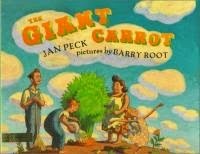 Among the eight or so carrot-based picture books we found at our library, these five resonated with us enough to share here, in no particular order. The fact that this book is still in print attests to its timelessness and charm. A little boy plants carrot seeds. Despite hearing that nothing might come out it, the boy waits patiently and hopes for the best. He is finally rewarded. A gentle yet simple story sure to inspire young gardeners. A variation of the Russian folktale, The Giant Turnip, this delightful book celebrates teamwork in gardening and enjoying the rewards of the soil. As each member contributes to the planting and care of the seed to watch it grow, the repetition and progression of the tale makes for a gratifying read. And when we see Little Isabelle dance when she notices the carrots begin "to shiver and shake and quiver and quake," we know that Nature has rewarded their collective effort. Hugely. Plus, we get the recipe for Little Isabelle's Carrot Pudding. Illustrations are gorgeous, the narration flows smoothly, and the text is peppered with folksy dialect. 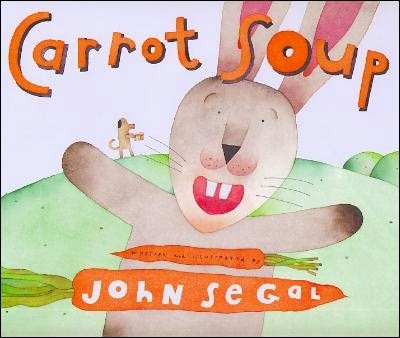 Rabbit's favorite dish is Carrot Soup. 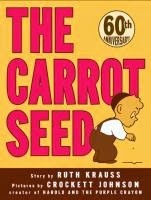 He plants carrots, tends to the garden and waits patiently for the harvest time so he can make is favorite carrot soup. But come harvest time, the carrots have disappeared. He asks his friends and neighbors if they've seen his carrots and all of them uniformly feign ignorance. Of course, by this time, young readers are giggling and bursting as they can see the other animals with balloons and party hats and bucketfuls of carrots, behind Rabbit, out of his sight. It does make them wonder why the friends are lying, though. Anyway, all's well that ends well. Rabbit goes back home, completely disappointed at not getting to make carrot soup, but finds that his friends have thrown him a Surprise! party. The soft-hued watercolor illustrations are gorgeous (reminded me of Visitor For Bear). The book reminded the younger child of I Want My Hat Back. Children love clever and entertaining stories with plenty of visual clues tucked in plain sight. They love being privy to facts that the main character in the book is not. They love to scream, "Look behind you, he's got your carrots!" This is a fantastic read aloud book. Some books are such a visual treat that a gentle and simple story line enhances the reading experience. Six rabbits find a carrot and immediately try to think of the best way to use it. Make a boat and visit the fishes? A plane to fly off to far-off lands? The question format speculating what the rabbits can do with the carrot is perfect for children to imagine and come up with their own ideas for how best to use the carrot. 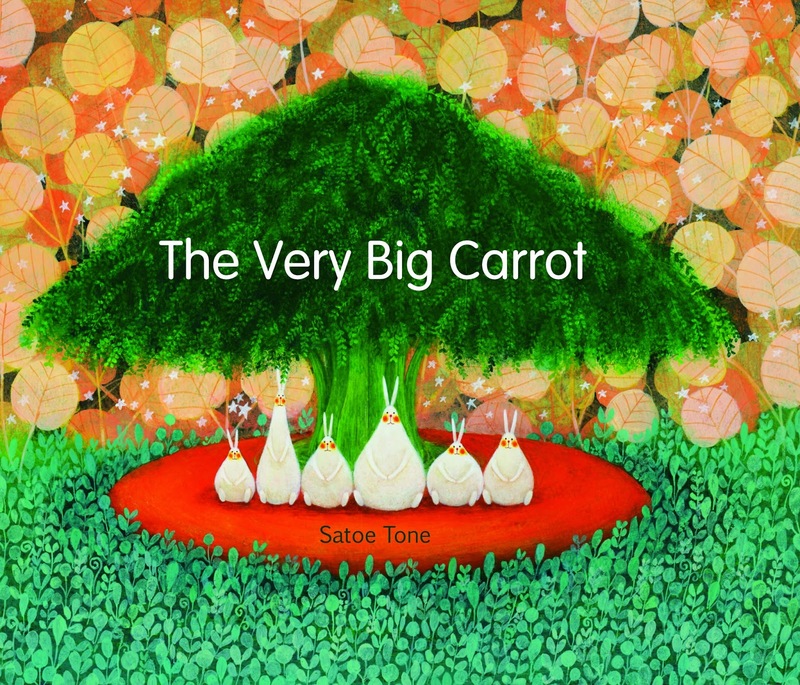 Imaging such possibilities as turning the very big carrot into the biggest house or the most beautiful garden makes the six rabbits very hungry and they decide the best way to use the very big carrot is to - eat it! I could not turn the pages in a hurry, the illustrations are brilliant and each of the six rosy-cheeked rabbits have unique shape and personality that makes it a rich visual experience. As the title suggests, not for kids who are sensitive to spookiness. Having said that, I have to also mention that both the 8 and 6 year old found this book suspenseful yet funny, not at all scary. Jasper (rabbit) loves carrots. He picks them whenever he wants. He doesn't think twice about munching on them. He grabs them and takes them as he pleases. Until one day, he senses someone watching him, following him. The creepy carrots are stalking him. 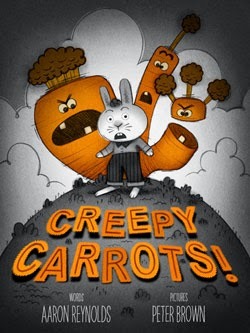 Jasper comes up with a plan to trap these creepy carrots, to stop them from hounding him at their will. But, does his plan work? Spoiler Alert: Since I find it rather cruel when I am left with a cliffhanger when I can't get my hands on the book to find out how it ended, I don't want to do the same to others. So, what happens when Jasper builds a huge fence and a moat to boot to keep the creepy carrots from stalking him? Well, in the fun twist that is becoming the norm these days, the carrots rejoice knowing they have managed to keep Jasper out! Artist Peter Brown shares in a video that the inspiration came from the Twilight Zone show. The illustrations perfectly complement the text - the mood and tone. And the text is just perfect for a flashlight-under-the-blanket fashion read-aloud.